LGE Android Platform USB Modem is a Modem hardware device. This driver was developed by LG Electronics, Inc.. USB/VID_1004&PID_61FA&MI_00 is the matching hardware id of this device. 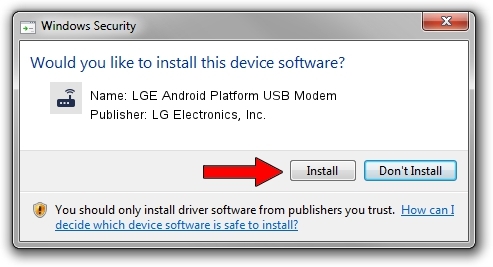 Download the driver setup file for LG Electronics, Inc. LGE Android Platform USB Modem driver from the location below. 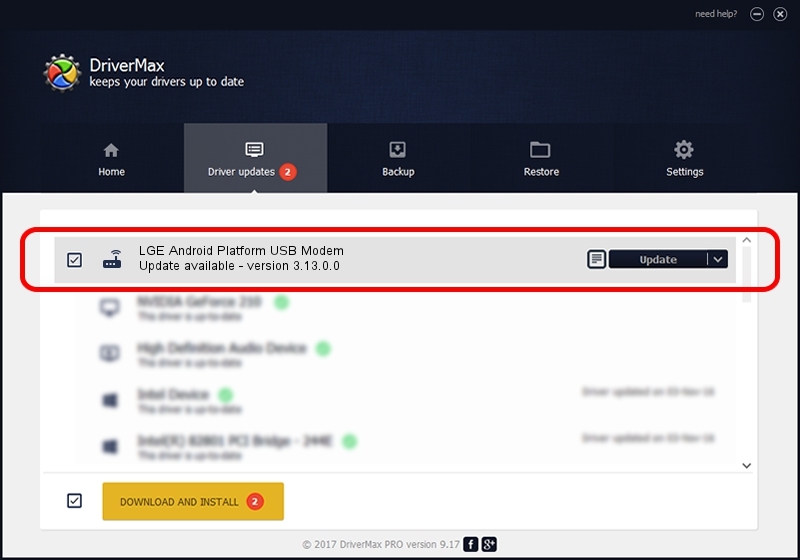 This is the download link for the driver version 3.13.0.0 released on 2014-12-12. This driver was installed by many users and received an average rating of 4 stars out of 33671 votes. Take a look at the list of driver updates. Search the list until you find the LG Electronics, Inc. LGE Android Platform USB Modem driver. Click on Update.